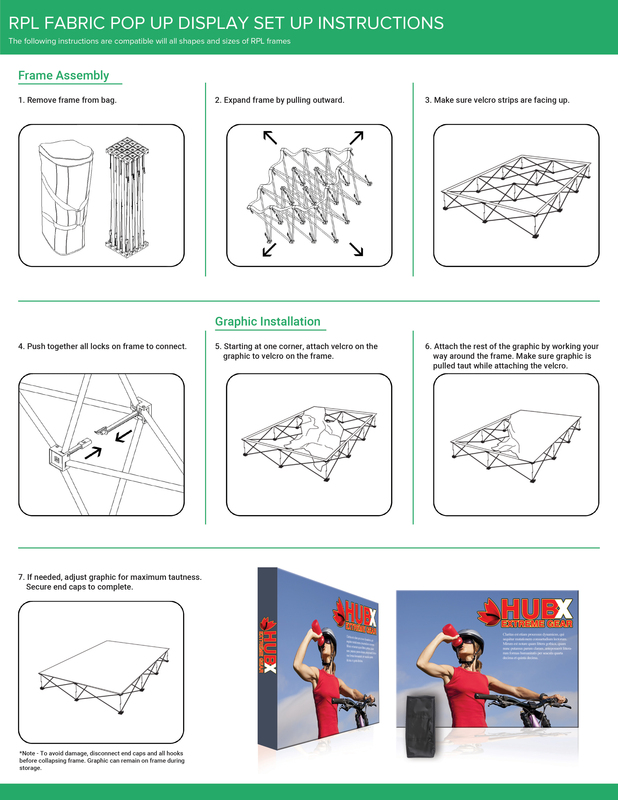 The RPL Fabric Display is the alternative display to our Ready Pop fabric pop-up display. It is a reasonable price, and still is an ideal eye-catcher for your tradeshow, exhibition, or conference. By going with this choice, you do not forfeit quality! The versatility and simple 2-minute setup, as well as its velcro attachment, make it functional for any special event, as well as for use as an in-office promotional tool for walk-in customers. Another convenient feature is that your graphic stays attached in your free travel/carry bag that comes with each frame you purchase. It can be removed for washing and graphic replacement.